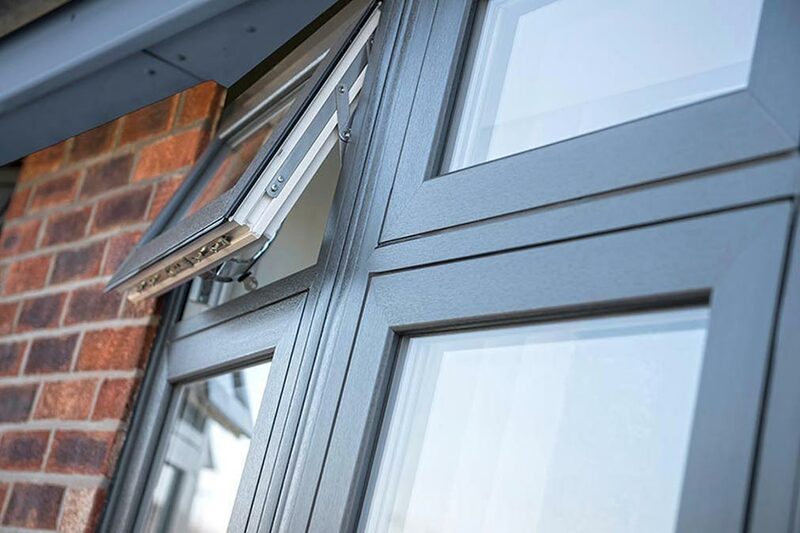 We have been manufacturing double glazed windows for over 20 years, our secret of success is striving for the highest quality using the best materials. 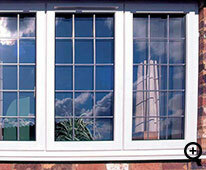 Because we manufacture your windows right here in our own factory we are not restricted to supplier design limitations. 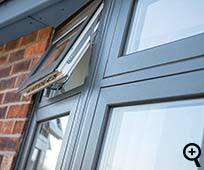 We can tailor your windows to your exact needs and using our unique on-line window designer you will find that we are sure to produce your exact window style. 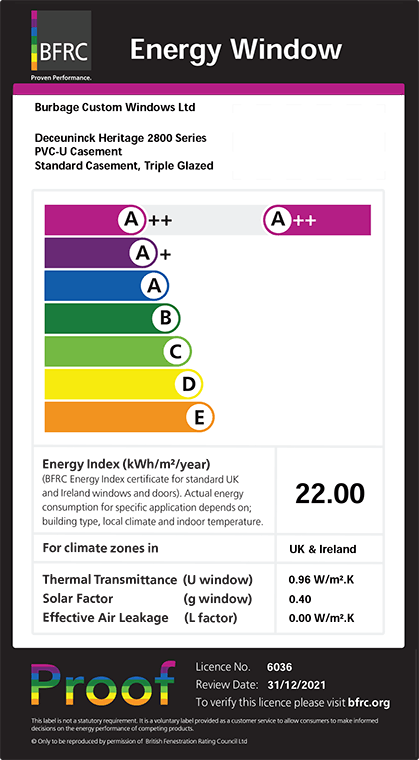 As standard you will receive an ultra efficient 'A+' rated window. 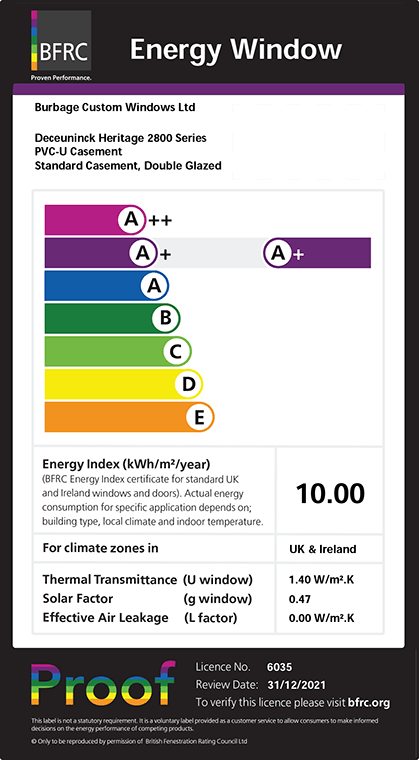 Our latest casement windows utilise some of the most advanced double glazing on the market and actually now perform much better than a standard A rated window, at A+, one of the most advanced in the country. 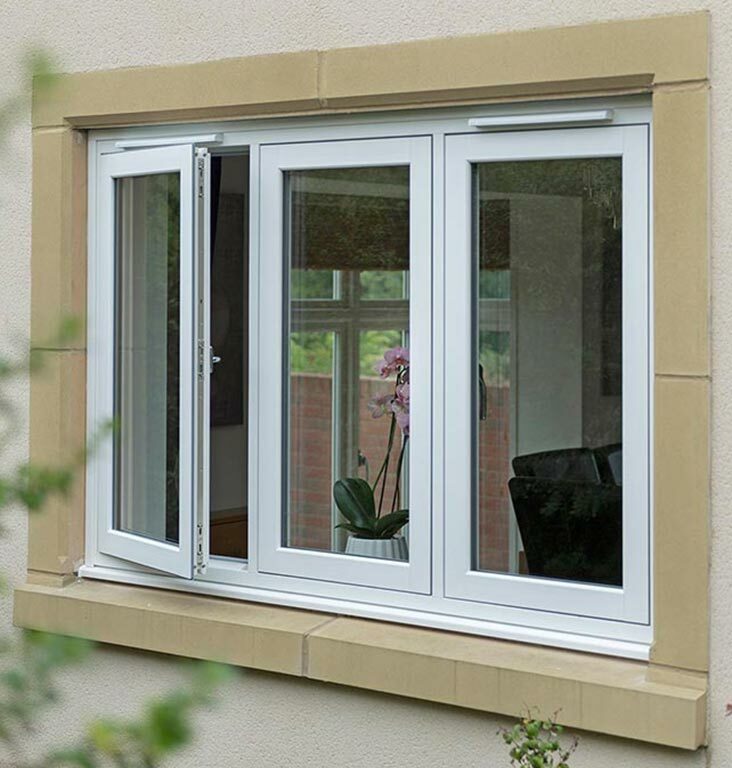 Our windows easily exceed building regulations so you will have the peace of mind that you are installing the very best double glazing. 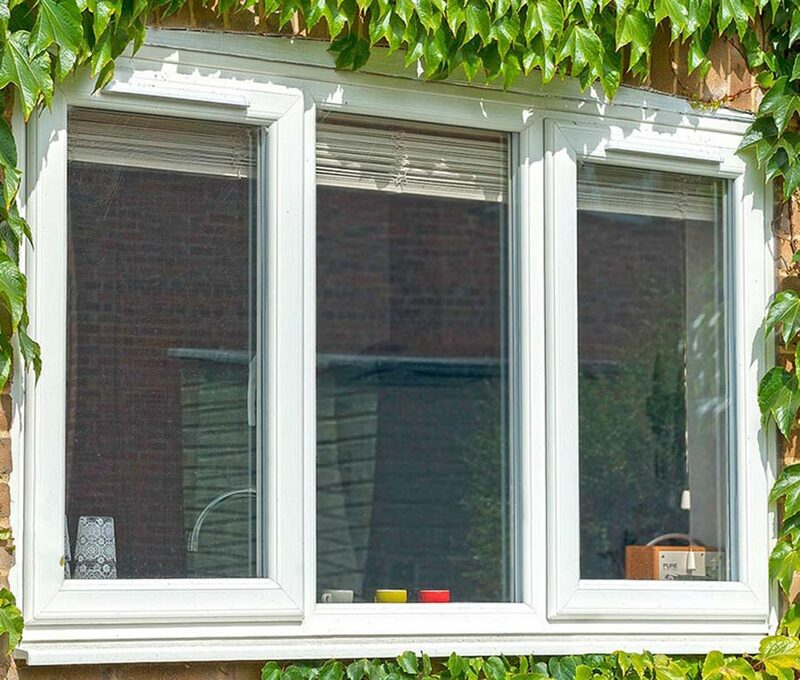 Our energy efficient windows will make a real difference in the winter and reduce your home's energy bills as a lot of heat is lost through the windows. 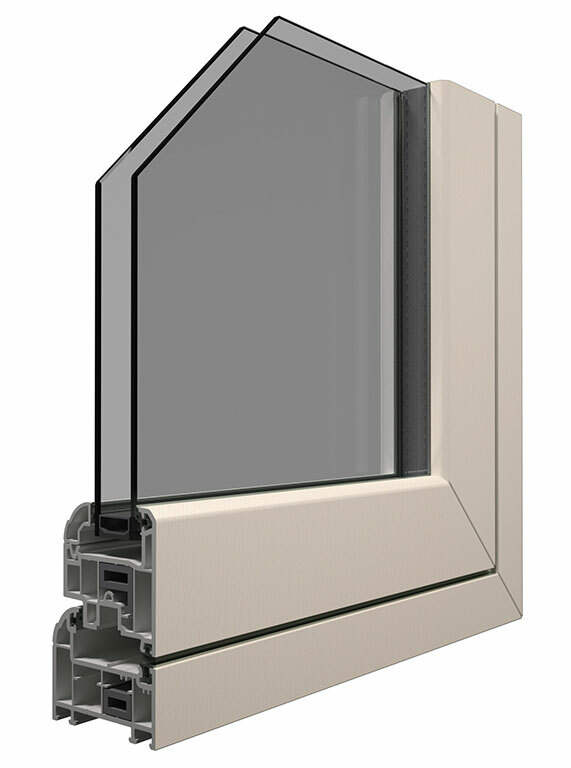 The special coating on each pane of glass reflects heat back into the room. 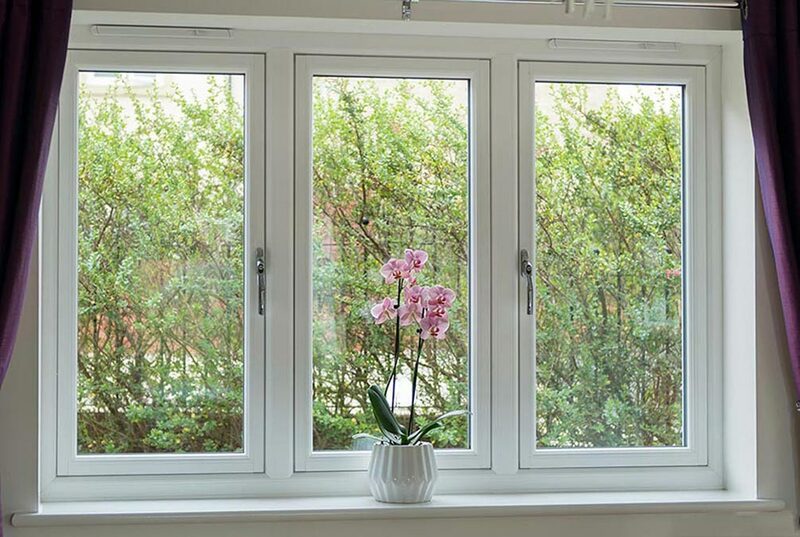 All of our windows are filled with argon gas which is extremely effective in reducing heat loss as it has a higher density than air. 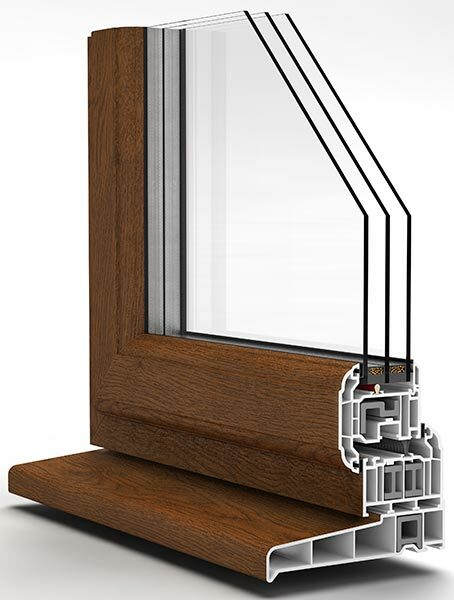 For even higher energy efficiency, we manufacture A++ triple glazed windows. 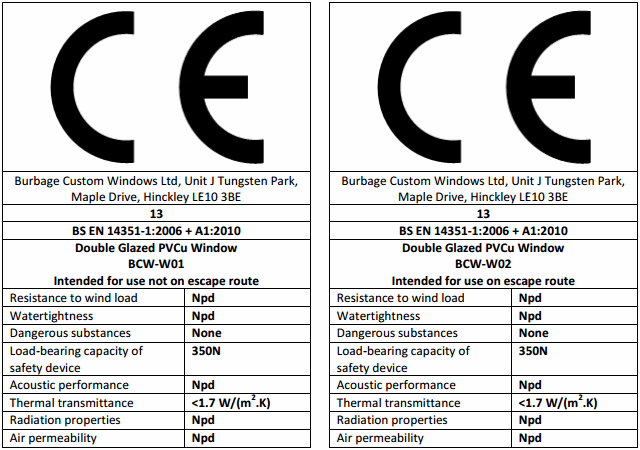 Using the same advanced glass specification as our double glazing, with an extra pane of energy efficient Pilkington KS glass, and a thinner glass bead without increasing the frame thickness, achieving a superb 'A++' rating from the BFRC. 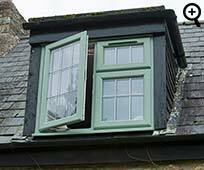 Our windows have high security built in. 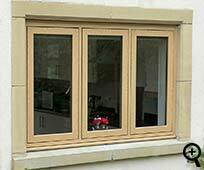 Our locking system is sourced from Yale and with the option of shootbolt locking ensures a highly secure window. 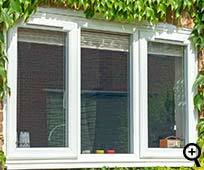 All of our windows are internally beaded which means that the glass can only be removed from the inside. All window handles have key locking. 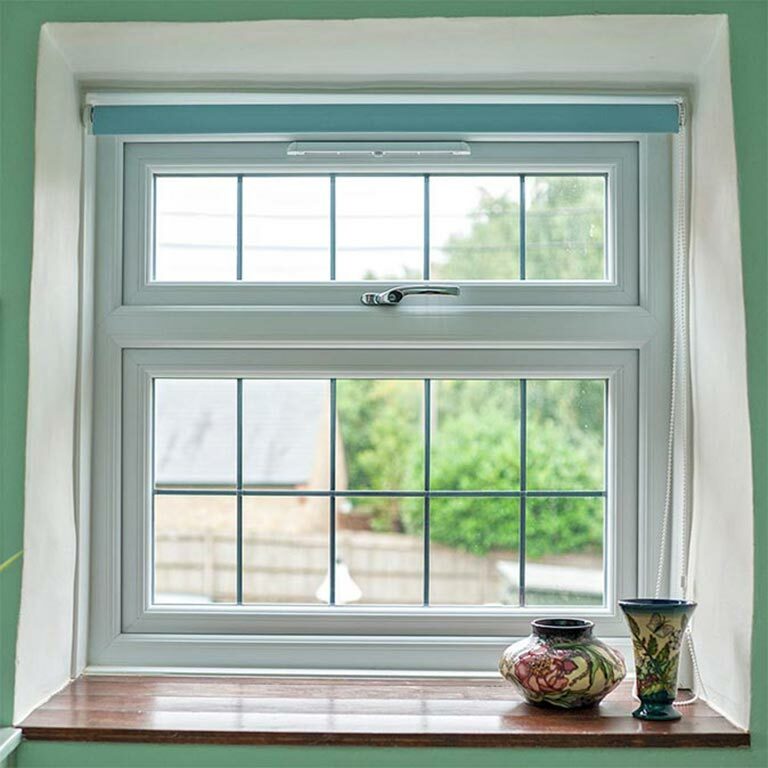 All our windows have a two stage locking system where the window is completely closed on the first setting but allows airflow through a small gap on the second setting, while still being locked. 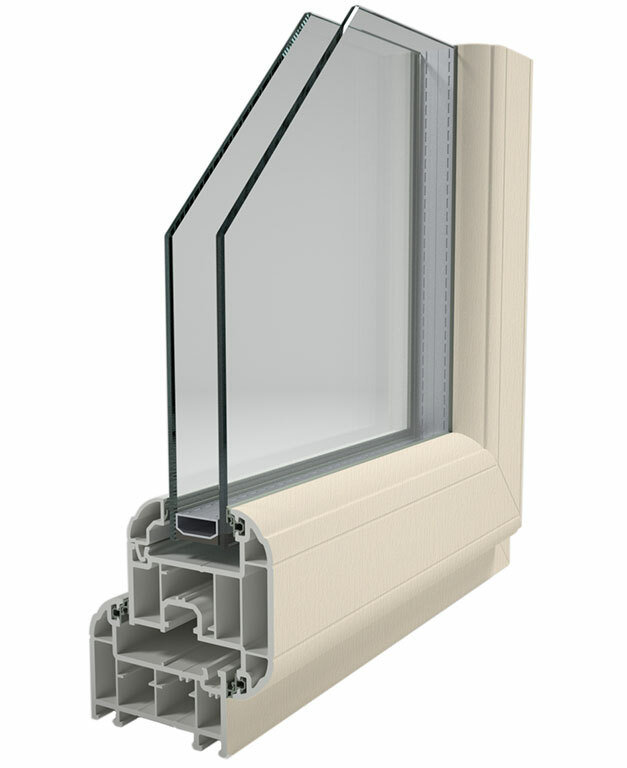 Our profile extrusion is supplied by Profile 22, one of the leading extruders in the country. 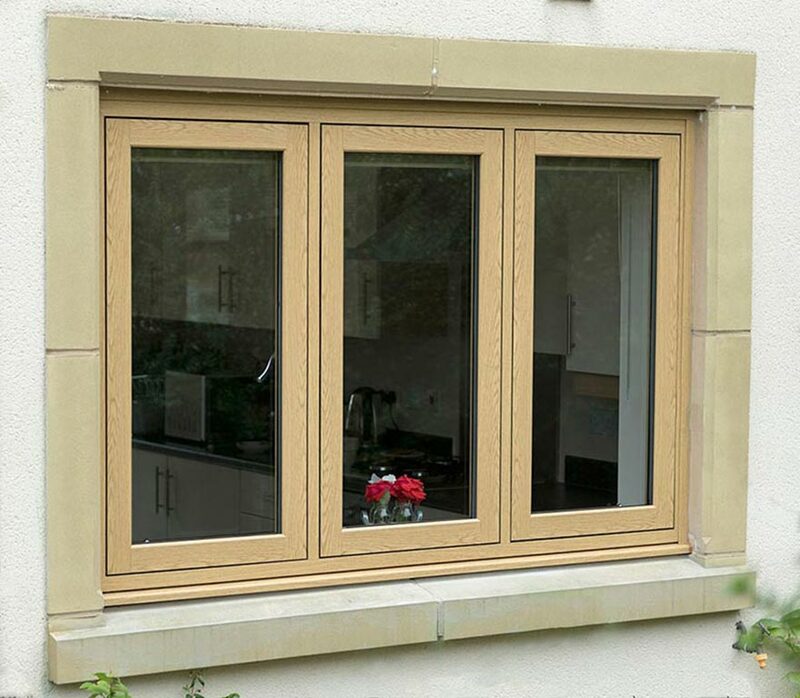 We use the new 2016 award winning 6 chambered Optima 70mm system with an attractive sculptured finish. 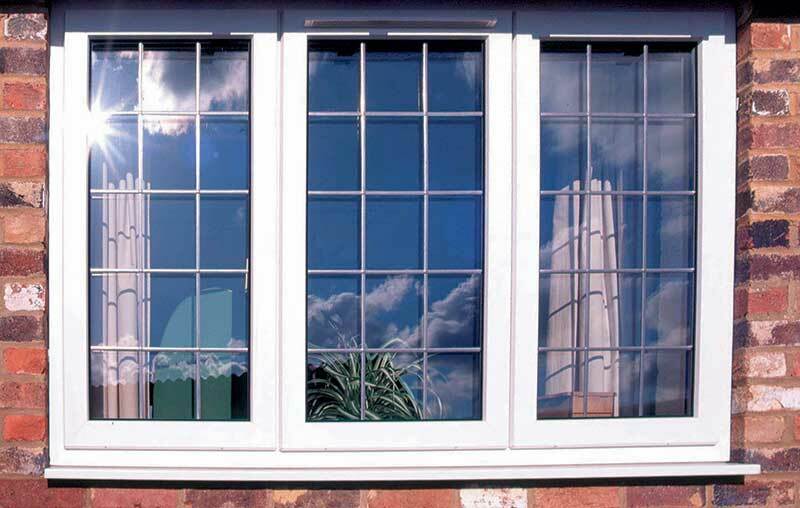 Our handles, hinges and other parts are of extremely high quality, sourced from reputable companies. 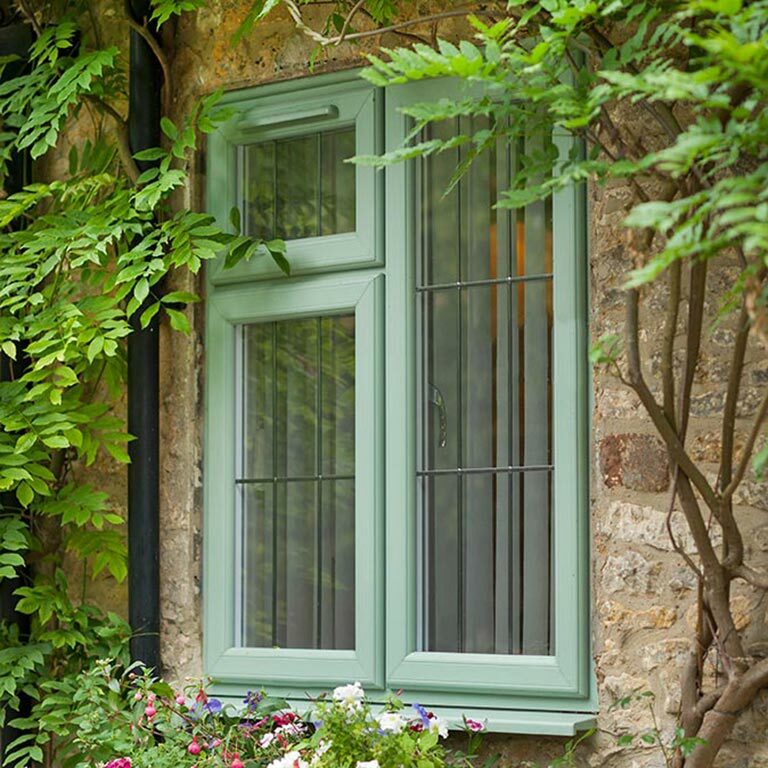 All of our window designs are available in White, Rosewood, Light Oak, Anthracite Grey and Black-brown, and also woodgrain White and Cream. 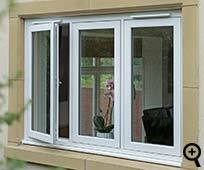 You also have the option of having a White finish on the inside and a coloured finish on the outside. 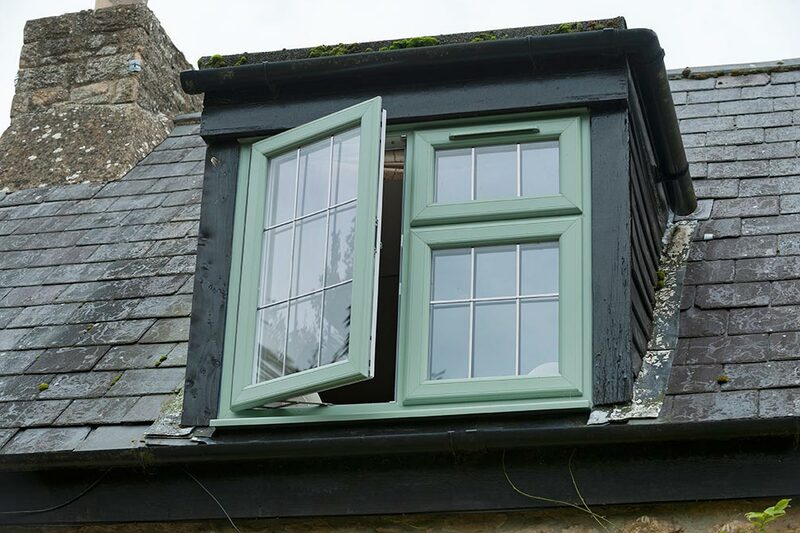 We also manufacture French windows, they open completely without a central vertical bar in the way, thereby allowing fire-escape, maximum ventilation and ground floor access. 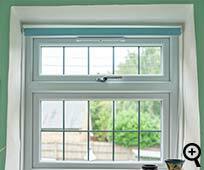 Like all our windows they also have a two stage locking system for airflow as described above in the Security paragraph. We have invested heavily in our machinery to ensure both accuracy and a high quality finish. 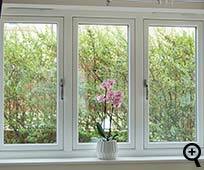 Our quality control system ensures that each window leaves our factory to the highest standard. 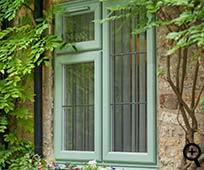 To price a window just click on the closest type on our home page!